“The traditional full moon names, like Thunder Moon, reflect the seasons in many temperate Northern Hemisphere climates. In many parts of the continental U.S., thunderstorms are more frequent in July as the weather heats up, so Thunder Moon was an apt name for some Native American cultures. The moniker Full Buck Moon symbolizes the time of the year when male deer, known as bucks, start to grow their new antlers. While this nickname is most commonly used, it is only one of the many lunar names for this month's full moon. 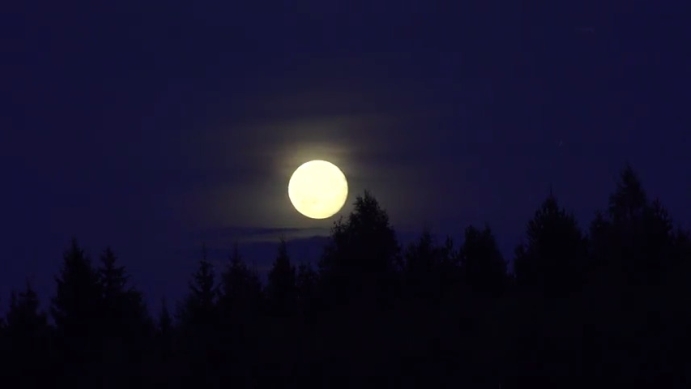 July's full moon has also been called the Full Thunder Moon and the Full Hay Moon, as July is considered to be the season with the most frequent thunderstorms and the time of year when farmers harvest, bale and stow hay for the upcoming winter. July Moon names from different tribes: Raptor Moon (Hopi). Smoky Moon (Maidu). Ripe Moon (San Juan). Crane Moon (Choctaw). Claiming Moon (Celtic). Peaches Moon (Natchez). Ducks Moult Moon (Cree). Ripening Moon (Mohawk). Grass Cutter Moon (Abernaki). Buffalo Bellow Moon (Omaha). Hungry Ghost Moon (Chinese). Ripe Squash Moon (Algonquin). Raspberry Moon (Anishnaabe). Salmon River moon (Wishram). Middle Summer Moon (Ponca). Middle Summer Moon (Dakota). Red Berries moon (Assiniboine). Young Corn Moon (Potawatomi). Buffalo Bellows Moon (Arapaho). Wild Red Cherries Moon (Sioux). Corn Popping moon (Winnebago). Ripening Moon (Passamaquoddy). Horse Moon, Ripe Moon (Apache). Dropping Deer Horns Moon (Kiowa). Ripe Corn Moon, Hay Moon (Cherokee). Sun House Moon (Taos Native American). Claiming moon (Full Janic), Blessing Moon (Dark Janic). Little Harvest Moon, Blackberry Moon, Little Ripening Moon (Creek). Hay Moon, Buck Moon, Thunder Moon, Summer Moon (Algonquin). 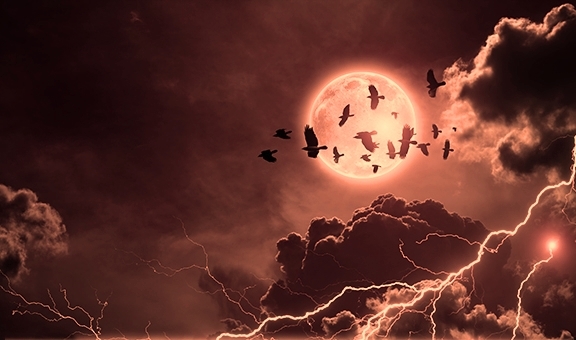 The Moon and the Thunders - Cherokee Legends The common people call both Sun and Moon Nûñdä, one being "Nûñdä that dwells in the day" and the other "Nûñdä that dwells in the night," but the priests call the Sun Su'tälidihï', "Six-killer," and the Moon Ge'`yägu'ga, though nobody knows now what this word means, or why they use these names. Sometimes people ask the Moon not to let it rain or snow. The great Thunder and his sons, the two Thunder boys, live far in the west above the sky vault. The lightning and the rainbow are their beautiful dress. The priests pray to the Thunder and call him the Red Man, because that is the brightest color of his dress. There are other Thunders that live lower down, in the cliffs and mountains, and under waterfalls, and travel on invisible bridges from one high peak to another where they have their town houses. The great Thunders above the sky are kind and helpful when we pray to them, but these others are always plotting mischief. One must not point at the rainbow, or one's finger will swell at the lower joint. Responses to "Happy Full Thunder Moon 2018: What You Need to Know About July's Full Moon"